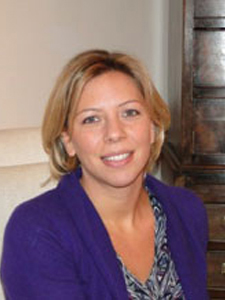 Josie is a Registered Psychologist with the Health and Care Professions Council (HCPC) and a Chartered Psychologist with the British Psychological Society and a member of the BPS Division of Counselling Psychology. In addition to her work with Altum Health, Josie lectures at City University on the Counselling Psychology Doctorate programme. Josie completed her undergraduate psychology degree at Oxford University. After graduating she worked in training and development and human resources for several years. Although she enjoyed coaching, mentoring and helping people develop their potential at work she felt that she had more to offer at an individual level and therefore retrained as a Counselling Psychologist. As a psychologist Josie has worked in a variety of settings (including NHS and private healthcare) and with a broad range of clients. She has experience of working therapeutically with individuals experiencing a range of difficulties including depression, anxiety, low self-esteem, OCD, childhood abuse, bulimia, binge eating disorder, anorexia nervosa, long term health conditions, relationship problems, bereavement, stress, emotional eating and weight management. In recent years Josie has particularly specialised in eating disorders and obesity. She is a member of the BEAT (Eating Disorders) professional network and keeps abreast of the latest developments and research. Reflecting the ethos of Counselling Psychology, Josie takes a holistic and individual approach in therapy and is committed to developing a therapeutic relationship with each client in which they can experience acceptance, respect and understanding. Working in partnership with her clients, Josie explores a client’s goals for therapy and seeks to develop a comprehensive understanding of their difficulties so together they can agree a therapy plan and utilise the most appropriate therapeutic approach. In practice this means that Josie often utilises cognitive behavioural therapy as well as drawing on other approaches as appropriate. Thus Josie offers sensitive and encouraging personal therapy that is responsive to her client’s needs and individually tailored for them.